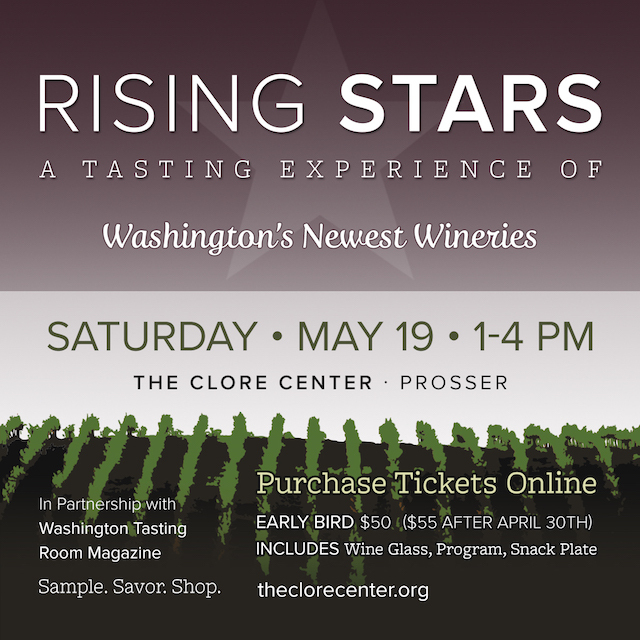 PROSSER, Wash. – The Walter Clore Wine and Culinary Center provides an introduction to discover some of Washington’s newest up-and-coming winemakers at the third annual Rising Stars, a Tasting Experience of Washington’s Newest Wineries on Saturday, May 19. Sip and savor 30 of the state’s youngest brands. Patrons also will be able to purchase bottles. Cost is $55 for general admission from 1-4 p.m. 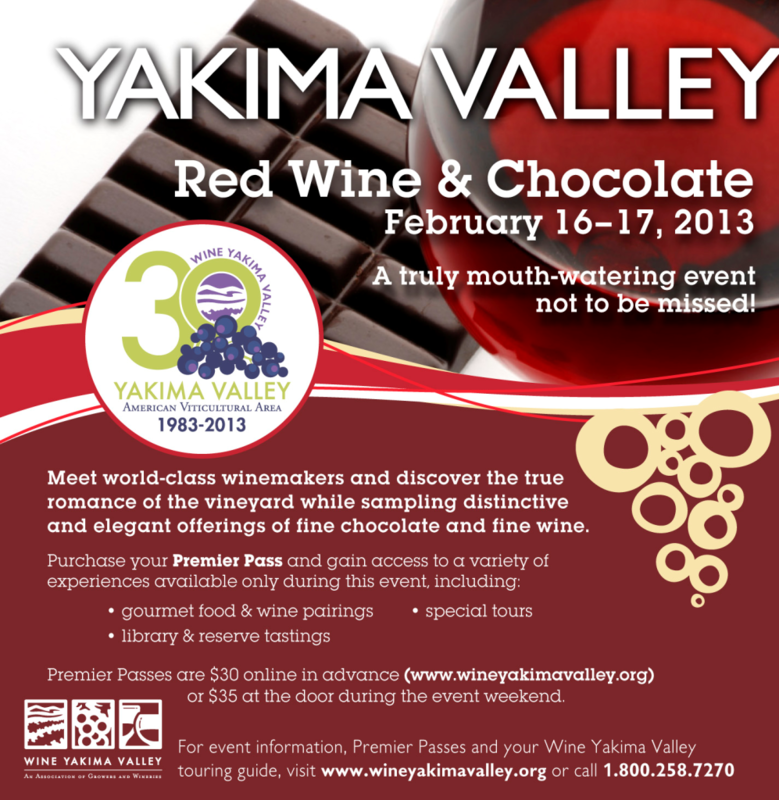 The fee includes unlimited tastings, appetizers, wine glass and program. Tickets are transferable in advance, but not refundable. The lineup includes Ancestry Cellars, Bontzu Cellars, Callan Cellars, Chris Daniel Winery, Co Dinn Cellars, Damsel Cellars, Elephant Seven, Eternal Wines/Drink Washington State, Lagana Cellars, Love That Red Winery, Vino La Monarcha/Palencia Winery, Monte Scarlatto, Radix Wines, Rocky Pond Cellars, The Wines of Sagemoor, Schooler Nolan Winery, Sin Banderas, T2 Cellar, TruthTeller, Tucannon Cellars, Wautoma Wines, Wit Cellars and Blended Learning by Washington State University.